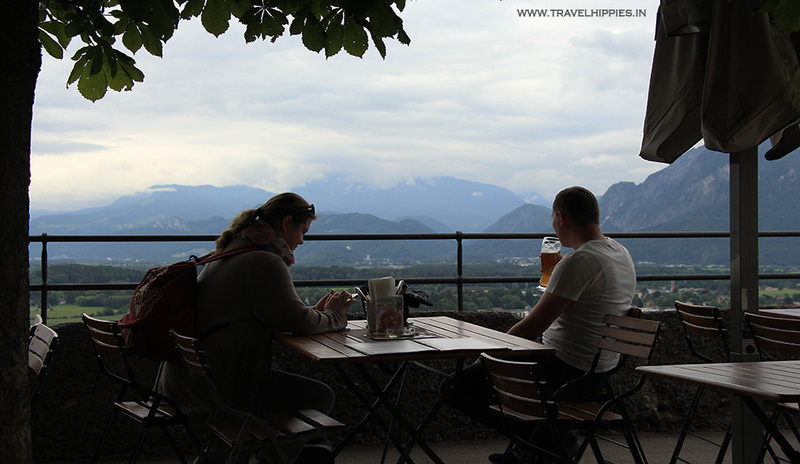 Salzburg is like a wholesome travel meal that includes hills, secluded forest trails, museums, parties, crafted beers and panoramic views. 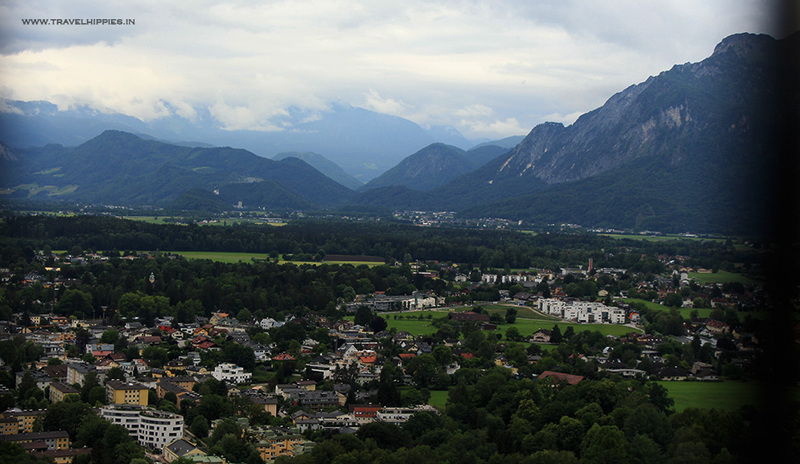 Here are a few of the famous as well as a few unexplored offbeat locations in Salzburg. Brace yourselves and enjoy these breathtaking views. The terrace that also houses the Modern Art Museum is visited more for this view than the museum itself. 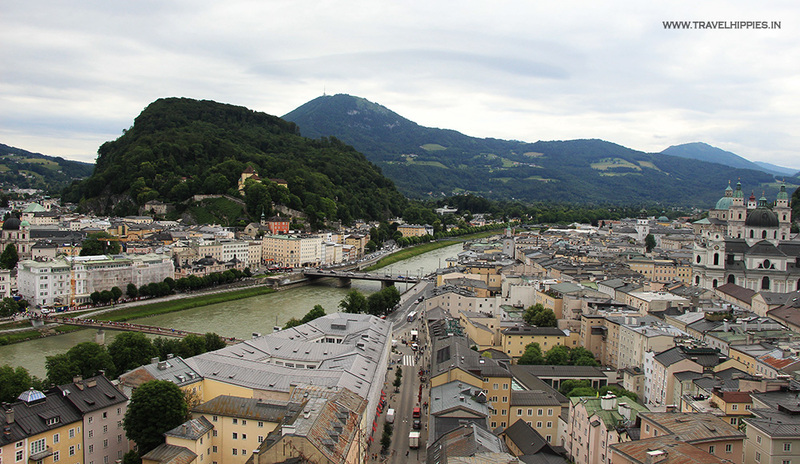 River Salzach looks like a highway passing through the city and it has indeed been a useful waterway for centuries. This surreal view is something that you must not miss even if you are not a museum fan. While most tourists are busy at Winkler’s Terrace capturing a perfect picture for their vacation album, the photographers secretly head behind the water tank. Yes, move on your left while facing the Museum entrance and you would be guided to this hidden viewpoint where most people reach only accidentally and end up with this surprising viewpoint. This is a perfect photo spot for a self-portrait and even for this gorgeous view. While I was here, there was only one photographer setting up his tripod. And needless to say, he was waiting for that money-fetching shot. How to reach: The cable car takes you directly up to the terrace and is free for Salzburg Card Holders. You can also take up the steep stairs from the opposite side and up to this point. Kapuzinersberg is the hill looking upon the fortress from the opposite bank. The church has a small sitting arena that gives this view to the visitors. Though there are a few tourists, it is also a hangout place for many locals. 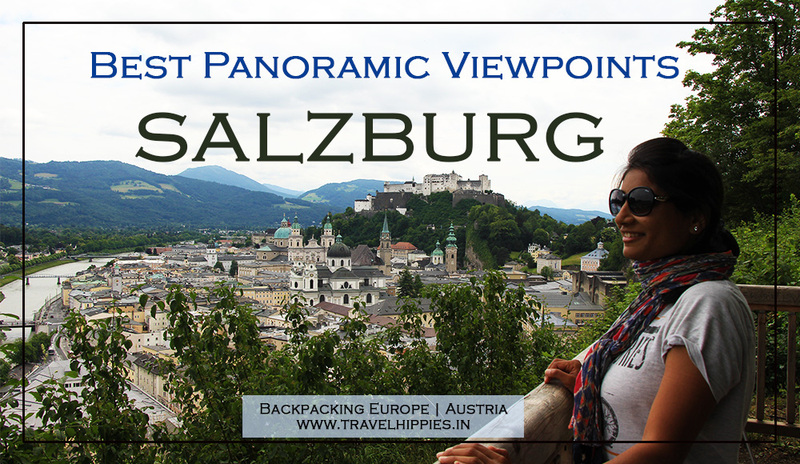 You can relish the view of the old town of Salzburg, the narrow lanes where those colourful buildings hug the rocky hill and the water tank tower that looks like a little fairytale castle. Further along this trail there many secluded trails with a panoramic view and one of such trails is the Bastion Trail. How to Reach Kapuzinersberg Monastery: Cross the river from the bridge where you board for the riverboat ride. On the opposite bank ask anyone for Linzergasse. There is a hidden door that looks like an entrance to a private building. 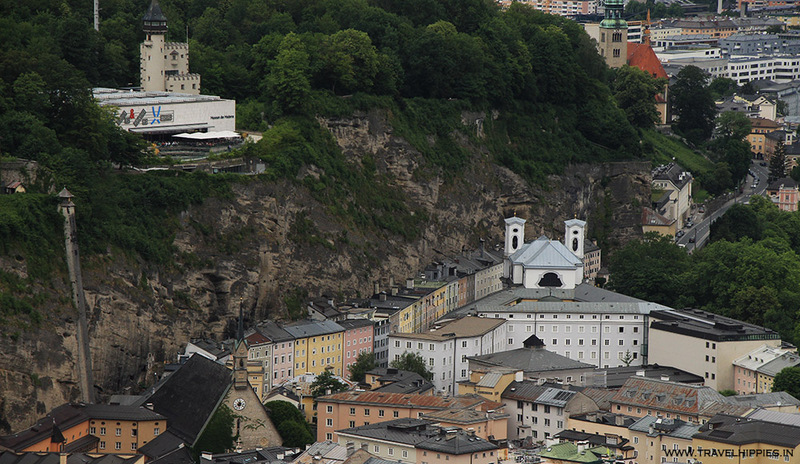 However, it takes you to a steep road that you can climb to reach the Kapuzinersberg Monastery AKA Salzberg Church. 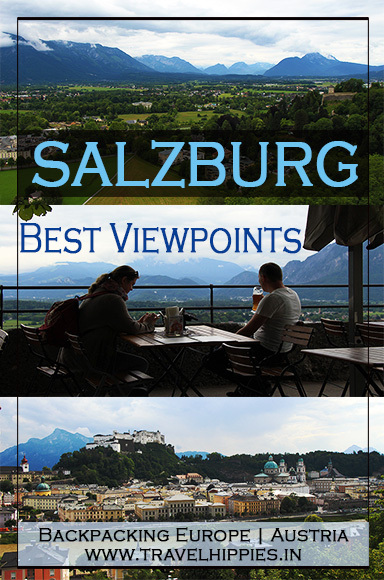 This is photographers’ favourite spot to capture the magic of this lively city of Salzburg. 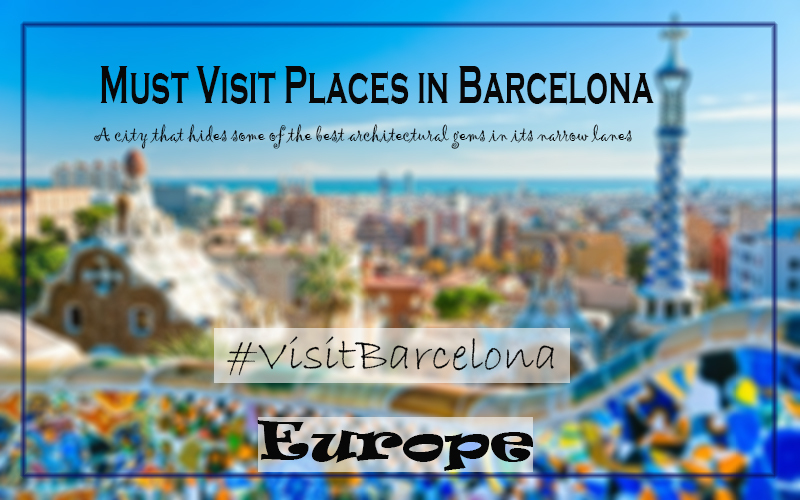 You can observe almost all the famous attractions from this point. 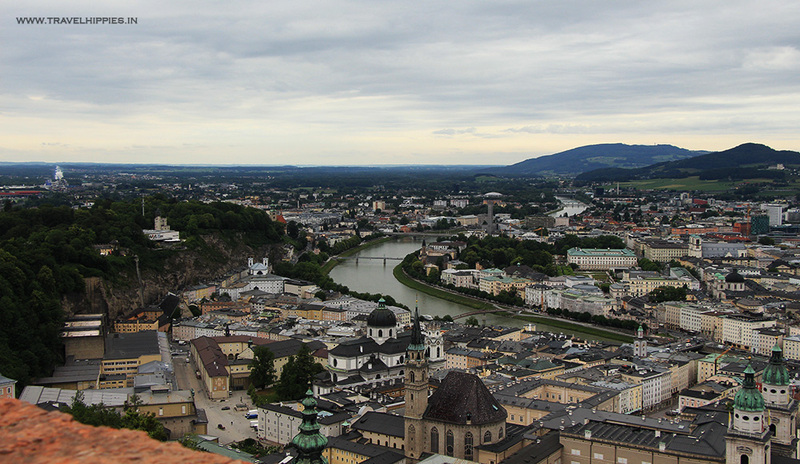 In fact, there is also a guard’s watchtower which makes quite a sense as one can see the whole city of Salzburg from here. It is truly a blissful sight with Mt Untersberg forming the backdrop of the mighty fortress. 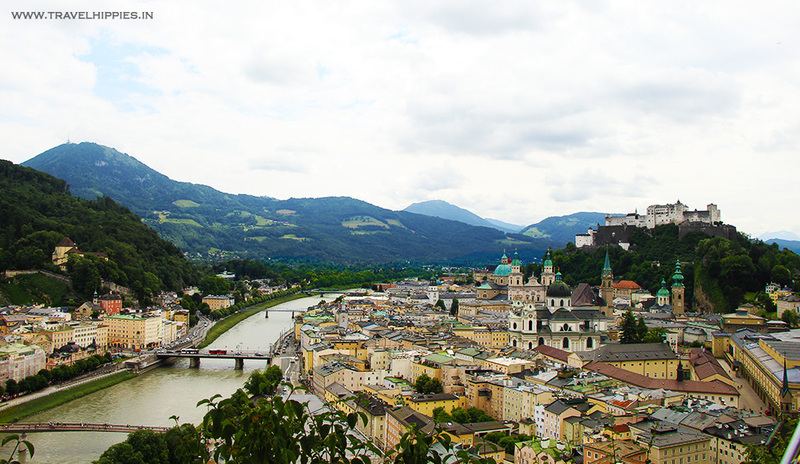 It is definitely one of my most favourite views with the flowing waters of Salzach, the domes of iconic monuments and buildings and of course, the greenery. How to reach: This can be a spooky trail if you are going all alone in the evening. It literally passes through a dark bushy trail mostly frequented by the locals and animals. Just follow the trodden trail and don’t stray away anywhere in the bushes or else you might get lost. There are two ways to reach here from the church. For both the ways, first, you need to take the big walkable road that you will find after crossing the gate located opposite to the entrance door of the church. Don’t take any turn on any metal road. Keep going straight and you will find a board on your right saying that the forest animals are expected here n that not to harm any of them. You can either take this trail, remove the bushes that come on your way and reach the watchtower or keep going ahead on the main road and wait for a bench to appear on your right. It is a viewpoint during autumn and winter where no bushes obstruct your views. However, for the Bastion trail, you need to go off the road on the path guided by arrows to reach the broken stairs that will take you to the watchtower that gives you the view as seen in the photograph. 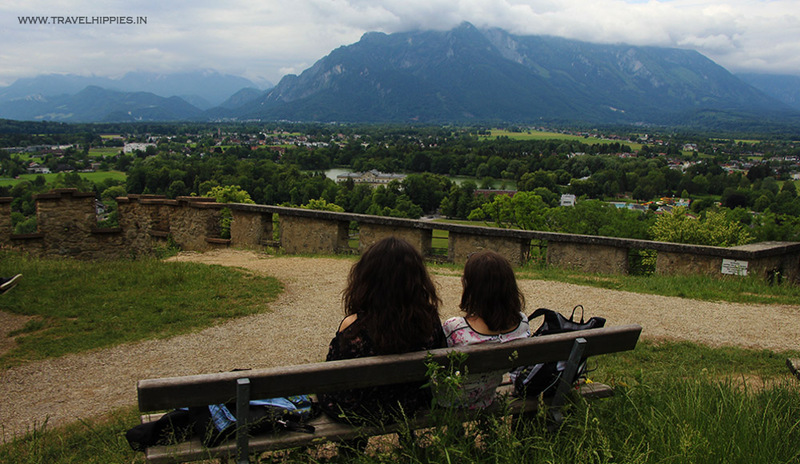 The view of the fortress with the backdrop of Kapuzinersberg, the highest point in Salzburg, is captivating. This is another of the hidden viewpoints hiding away from the tourist’s eyes. Probably, the efforts needed to reach this point makes this a less frequented place. It is the southernmost part of the fortress. You can either walk from the Fortress side or can take the easier route from the Modern Art Museum, passing through ruins, gardens and bushes. The other side of the Judge’s Height on Mönchsberg looks majestic in all seasons. The Leopold Palace and the lake are the major attractions here besides the dewy hills blanketed by the clouds. It is a perfect place for some romantic moments with your partner. How to Reach: The trail is as mesmerising as the view it fetches at its end. I started from the Modern Art Museum. The direction plates are quite useful. If you face the entrance of the museum, you need to take the road on your right and just keep walking straight while enjoying some more viewpoints on the way. Remember that you would also be entering a small fortress before you reach this dead end. Collect your free map from the Tourism Office in the city and you will get the map of all the viewpoints on the fortress. A guide map is always provided at the souvenir shop on the fort. And you must take it as you would need it the most in order to locate these viewpoints. The below-given picture is taken from the highest point in the fortress and that is the tower which can be accessed by spiral stairs that is a part of the guided audio tour in the Fortress Museum. The tiny windows of the fortress would have a new dramatic view to offer from every side of the building. Do not forget to peep through them while moving around in the Museum. A glass of beer with this view! Does it even need any more description? 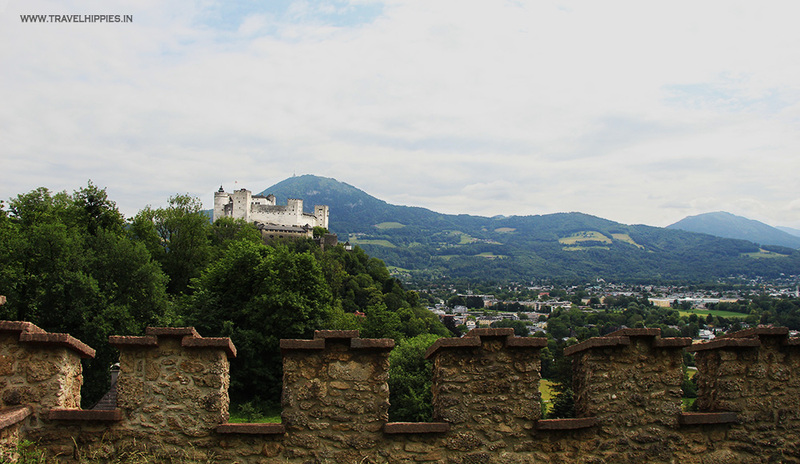 The southern viewpoints of the fortress show you the greener side of this Austrian city. 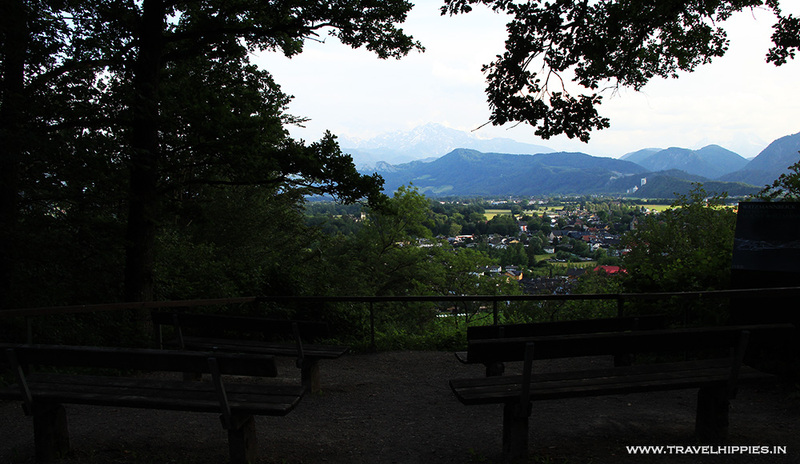 The mighty Untersberg and the other snowcapped hills can be spotted clearly from almost every viewpoint on this side. Of course, a glass of beer makes everything more beautiful. How to reach: As you exit the Festungbahn (the cable car to the top of the fortress), Take your right to reach the terrace viewpoint of the southern side of the hill. This beer garden is right at the beginning of the stairs towards the state chambers that remain open only until 11 am. 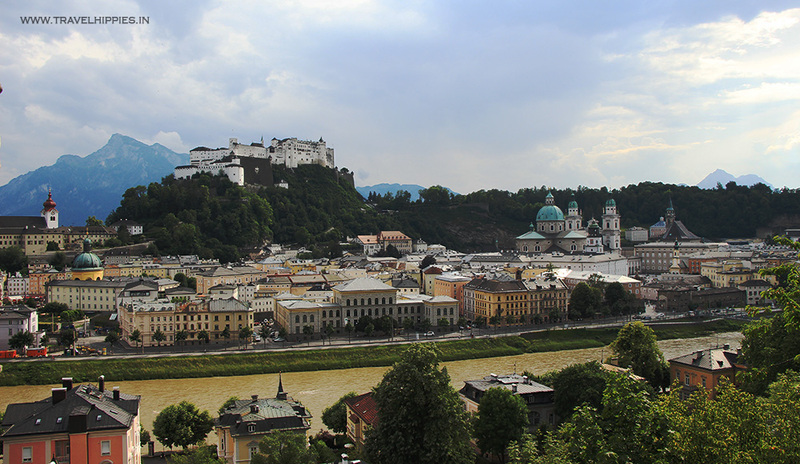 This picture of the skyline is again from the northern direction of the Hohensalzburg Fortress. The view can best be relished from the top of the watchtower. However, even the terraces and windows of the Museum facing the north gives this stunning early morning view. The peacefully flowing Salzach, Modern Art Museum, old town lanes and the extended part can be seen here wrapped in a dewy weather. This viewpoint is purely a privileged discovery for me all thanks to my Couchsurfing host Tamara and her dog Filou who come here for their evening walk. Very few tourists would have taken an effort to run a search for this viewpoint. This is definitely one of the hidden gems of Salzburg which is hardly frequented even by the locals. We went there after 6 PM and thus, we could get this “Human-free” picture of Hellbrun Palace. 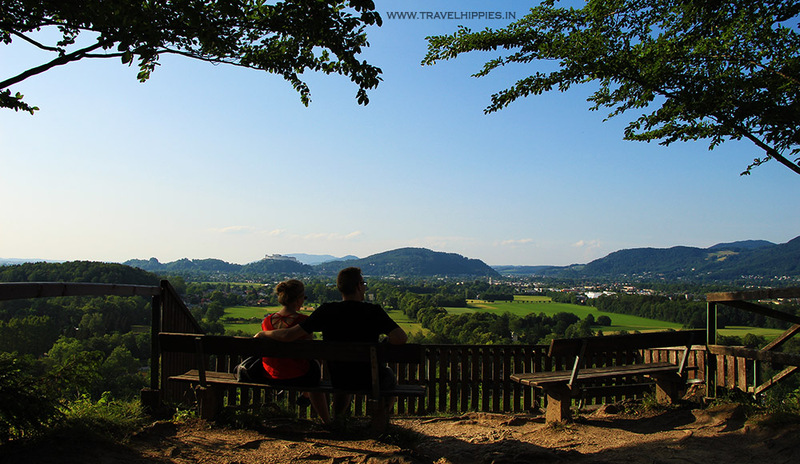 How to Find it: The stairways to this secret viewpoint are located on the right of the Folklore Museum. 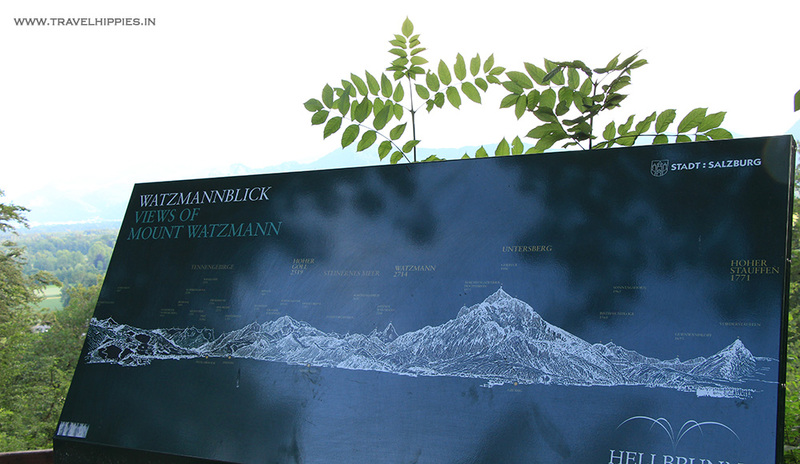 It is accessible by a short hike from the old gate of the Salzburg Zoo. 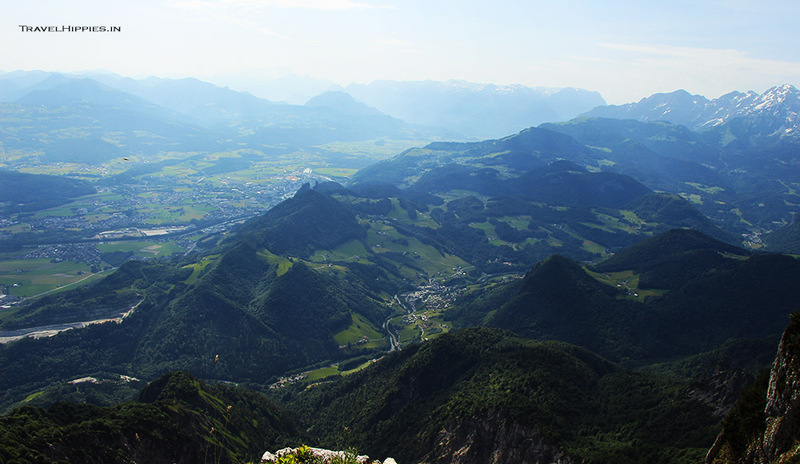 It can take around 20 minutes of a hike to this viewpoint. Keep looking at the direction signs in case you are not aware of the same. Once you find the stairs, it is easy for you to reach here. Salzburg public park is a huge open space mostly frequented only by the locals. 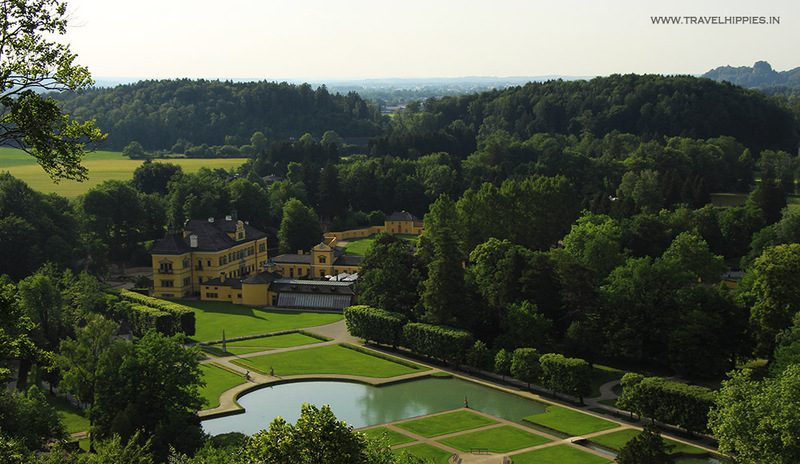 On one of its sides you can see the Hellbrunn palace’s bird’s eye view and on the other side are these open green fields dotted with hills. A sunset at this viewpoint can’t be missed. If you visit this place in summer, the sunset would be at late night. A place where apparently no one wanders or bothers to hike to. If you reach this place, you might be the only person possibly present at that place. It passes through a secluded forest trail where the only music would be that of the birds. And the sounds wouldn’t have more variety than just the rustling of the leaves and sniff of some deer or bucks. A display board there would explain you the names of each peak visible to you. And the arena like bench setup is a perfect place for any hot afternoon. How to Reach: The place can be accessed from the same route as that of the folklore museum. head straight from there and follow the sign for the viewpoint. Carry enough water as it is quite a task. This mysterious mountain was once the muse of the Nazi leader Hitler. In fact, he kept on staring and observing the mount from his hilltop home which is now famous as ‘Eagle’s Nest’. 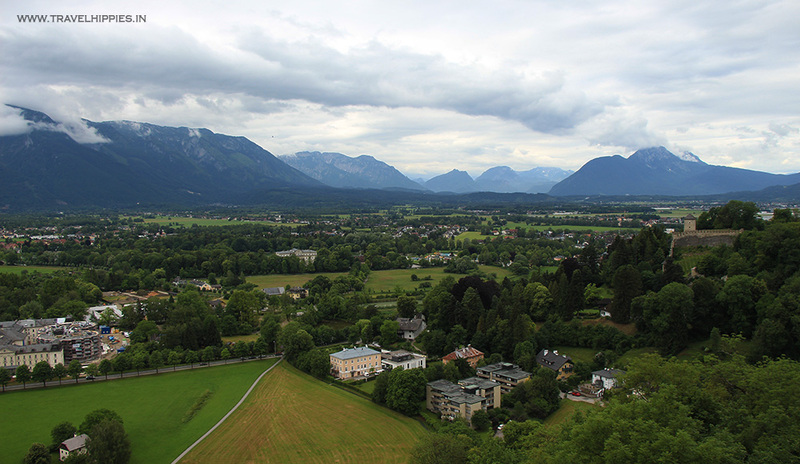 On a clear day, you can see the mountain ranges of the German side and the ever glowing snowcapped hills around Salzburg. 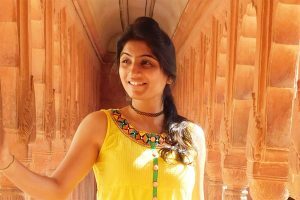 Eager to know more stories of this beauty? Well, you can read more about Mt Untersberg’s legends and myths here. How to Reach: Take bus no. 25 from the main bus stand opposite the railway station or the route along the Salzach river. This bus will drop you directly at the entrance of the Untersbergbahn or the cable car that takes you right at the top. Alternatively, you can even hike till the top which takes around 3-4 hours depending on your speed. 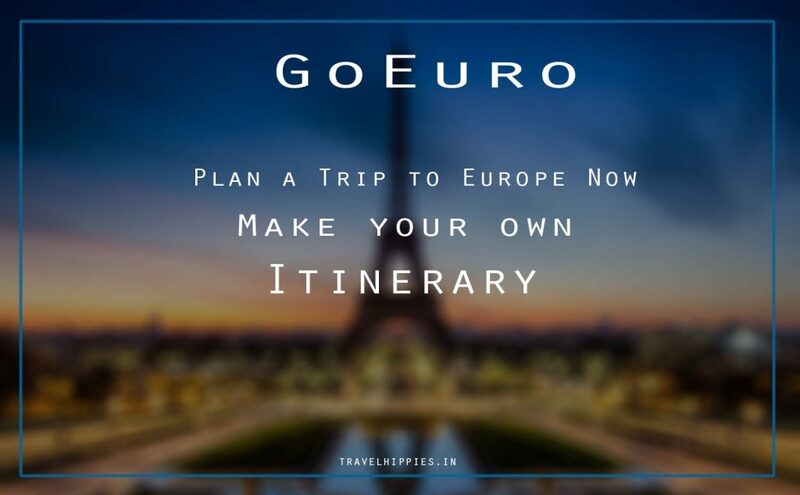 This post is written in collaboration with Salzburg Tourism. 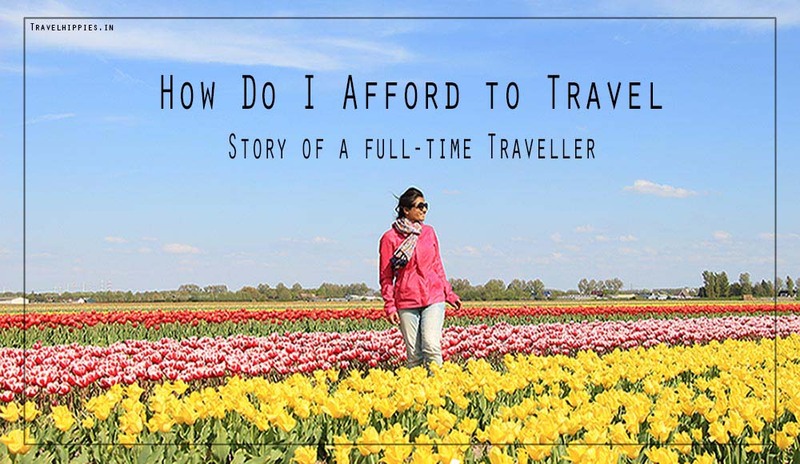 However, the exploration was done independently and the experiences and views are of my own.